Recently we visited family in Vermont, and took the opportunity to check out some of the breweries along the way. 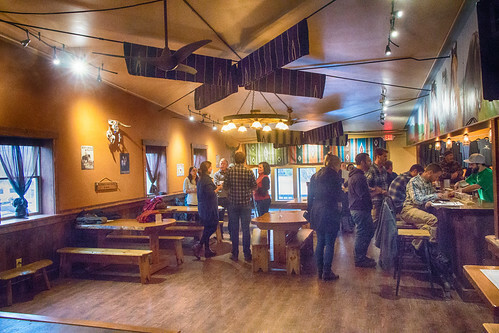 Our surprise stop of the day was Stone Corral Brewery in Richmond, VT. Luckily, we had enough time to sit down and talk to the folks behind the bar while enjoying a fantastic selection of unique and diverse beers. While the exterior of Stone Corral is unassuming in appearance, the interior is quite the opposite! 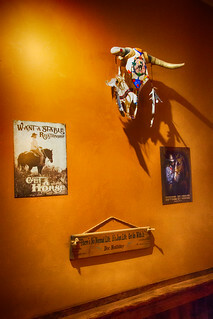 Beautifully designed to represent the southwestern United States; Navajo-style blankets hang from the warm orange colored walls and ceiling, along with various other elements representing the desert ranch lifestyle. 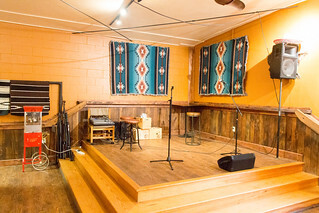 The large wooden wrap-around bar is surrounded by multiple handmade tables, still leaving space for a raised performance stage in one corner of the room. At the bar, we spoke with Jeff, Chuck, and Travis about Stone Corral and the various beers they produce. With 15 beers on tap, we settled in to try a bit of each as there was a huge amount of diversity in their lineup. Clean, crisp, and very traditional flavor. Super flavorful with a hint of caramel. Extremely well balanced. Earthy and a bit leathery. Just the right amount of smoke. Beautiful malt presence, complex flavors of dark malt, and chocolate with a bit of spice. Perfumed nose with lots of raspberry. Mellow and robust without becoming cloyingly sweet. Earthy and robust, with perhaps a bit too much coffee overcrowding the beer notes. Creamy vanilla notes that showcase great flavor from the barrel without excessive alcohol heat. Robust with a lot of complex flavors. Real chocolate and local Grade B maple syrup are used to create a nice balance. Reminds me of some great local Rochester Scottish ales, but this one is even bigger and stronger. Very strong flavors of malt and stone fruit mix with a hint of spiciness and an almost tart sourness. A decent, easy drinking Pale Ale. The juniper berries totally change everything. Quite unique and enjoyable. Big and assertive, another very well-produced and balanced beer. It would be extremely hard to pick out a favorite in the lineup that we had. I was however, especially impressed by their Black Beer and the many iterations of it which included a coffee, raspberry, and barrel-aged version. The tasting menu is especially helpful for those who can’t decide as it includes not only a detailed description of the beer and its ABV, but also the IBU (a standard measurement of bitterness), and SRM (a scale that tells you how light or dark a beer is.) 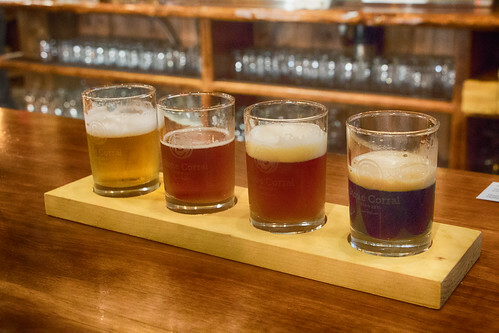 For five dollars, you can try a flight of 4 four ounce servings; though cask and barrel aged offerings cost an additional fifty cents each. Bret Hamilton started his career as a homebrewer back in the early 90’s. He opened Stone Corral in 2013 on a horse farm he owned with his wife. 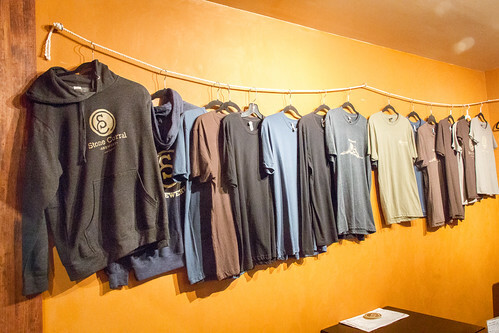 In a short amount of time Bret realized they needed to expand into a larger space that could also serve food and be able to accommodate a larger brew system. The current facility in Richmond opened in the fall of 2015 and uses a 15-barrel system. 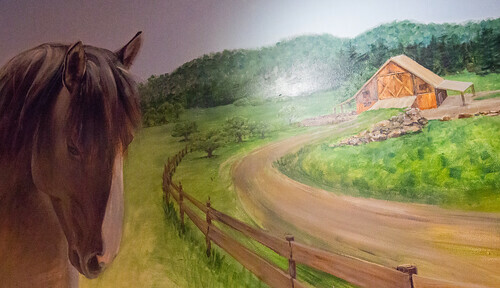 A gorgeous painted mural along one wall showcases the original farmstead brewery and the horse farm it shared space with. Bret and his co-brewer JD Bowley create all the recipes, and while they prefer to produce more malt forward, German-style beers, they are prepared to make anything. Some beers, like the Saison use all Vermont hops and malts. Last year they produced a harvest Bock which was also made using 100% Vermont hops. Saisanja was an especially unique concoction as it was crafted with the addition of hemp buds as part of a collaboration with The Vermont Hemp Company. Other local ingredients in their beer include Vermont Artisanal Coffee and Lake Champlain Chocolates. 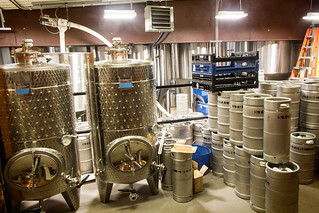 Lots of work is being done with barrel-aged beers at Stone Corral. Mad River Distillers, located not far from the brewery, supplies all the barrels. One of their planned experiments involves distilling the Scotch Ale and calling it Hopscotch. Rather clever if you ask me! I made sure to purchase a few bottles of their barrel-aged and sour fermented beers to bring home as the ones I tasted at the brewery were incredibly delicious and full of nuanced flavors. 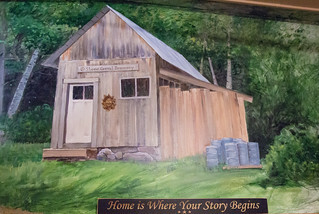 Stone Corral’s beer is bottled and canned, and may be found in stores throughout the state of Vermont. Trailblazer and Black Beer are two of the more common beers they can in larger quantities. The brewery hopes to expand soon and possibly start distributing in Massachusetts. While at the brewery there is always something to do. Musical acts play almost every night, with a leaning more towards the Bluegrass side of the spectrum. Board games are readily available, and a decent selection of sandwiches, cheese plates, soups, and tacos are on the menu to keep your stomach happy. 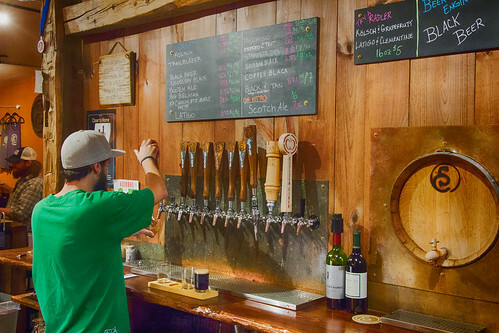 Since we last visited, the brewery now offers a more expanded menu which includes burgers, steaks, and more. For those that do not drink beer, an assortment of wine, ciders, and non-alcoholic sodas are sold as well. 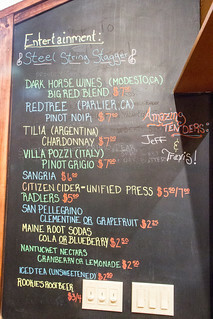 I was quite surprised to see a few Vermont wines being served and must investigate these wineries on future trips! I thought the prices for the beer were extremely fair considering the caliber of each one that I tasted. 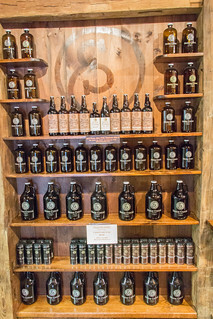 Luckily, pretty much everything is bottled and what is not can be purchased to go home in a growler or grumbler. As we sat there, the brewery filled up very quickly and seems to be quite a popular hangout for those that are local to the area. I could easily envision this as a great afternoon relaxation spot to play a game of cards while enjoying some Bluegrass music. 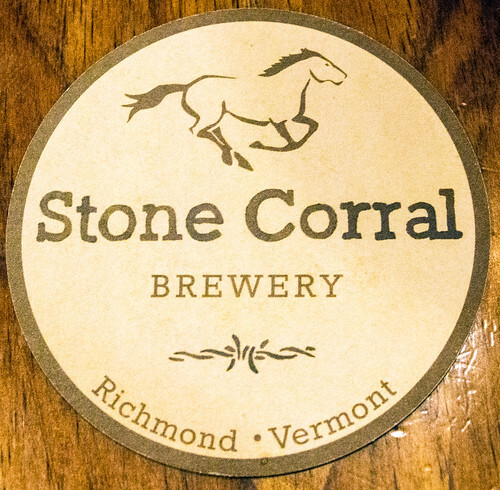 I’m so glad we discovered Stone Corral on our trip up to Vermont. I will be sure to include them as a stop the next time I am in the area and will be on the lookout for expanded distribution. I see this becoming an increasingly popular spot for beer aficionados as word gets out about the excellent diversity of quality beverages they are producing. 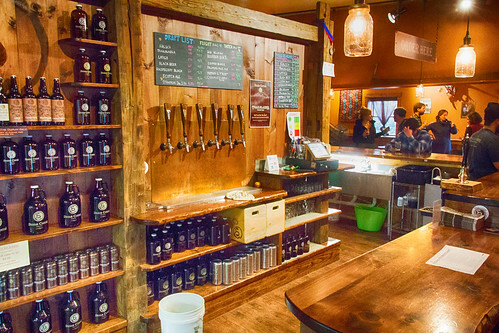 Richmond, Vermont is located not too far from Burlington, a beer mecca showcasing many highly-respected breweries. With almost a dozen located there, it will clearly take another trip to even experience just a small sampling of them! However, it is the places like Stone Corral, in smaller towns like Richmond, that really help bring a community together. The local camaraderie seen here is what I love to discover on each new visit I make for the blog.